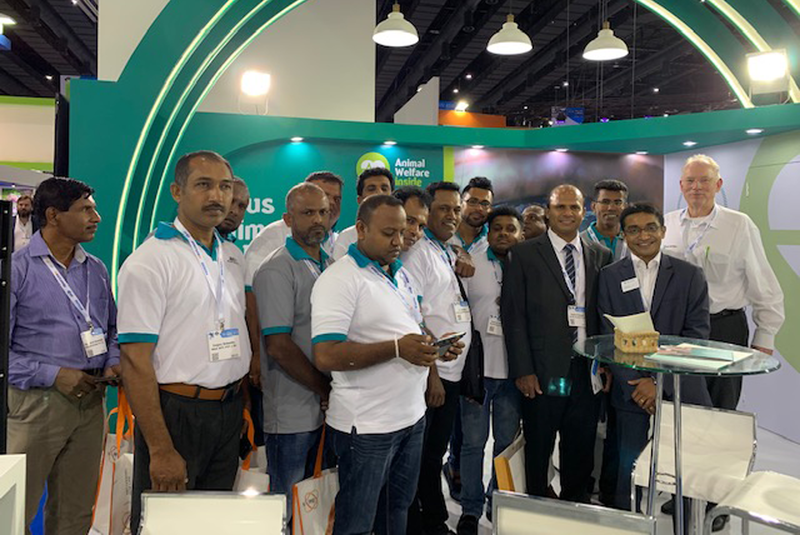 Bangkok: VIV Asia 2019 came to a close on 15 March, after three exhilarating days. More than 45,000 visitors from over 120 countries once again demonstrated that this fair is not just the most important event for anyone along the feed to food chain; it is also undoubtedly and justifiably one of the leading international trade shows for feed manufacturing and livestock production, with almost 50 per cent of visitors coming from non-Asian regions. Food safety, profitability and alternatives to AGPs and antibiotics were the leading topics of discussion on and off stage. At Dr. Eckel’s booth, customers and distributors were presented with the latest information on how to improve animal welfare, efficiency and sustainability—all at the same time—with our focus products for reducing and replacing antibiotics: the most recently launched AirFresh, a highly efficient complex of essential oils and plant extracts, which can support lung function and help reduce medication costs; Anta®Ox with its anti-inflammatory effects, which can reduce oxidative stress and improve animal performance; and Anta®Phyt, which supports a healthy gut, has antibacterial effects and aids digestion. 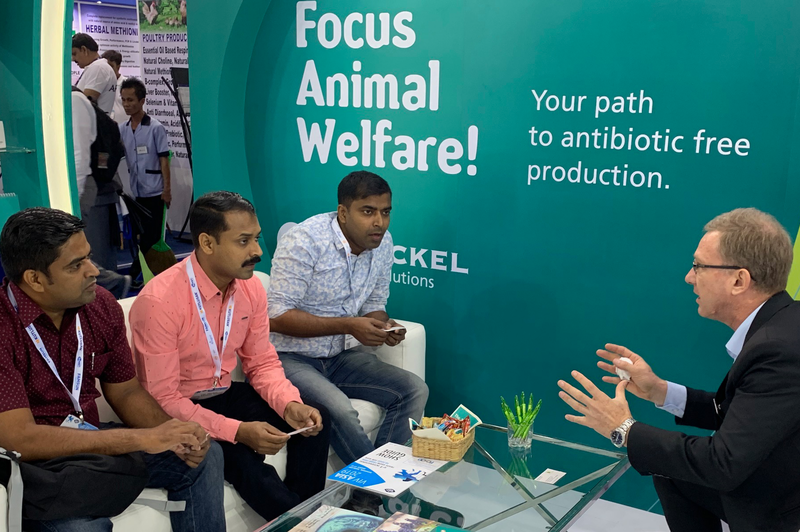 Dr. Eckel’s team of sales managers and feed experts was eager to answer visitors’ questions and discuss their ideas, especially those on animal welfare and antibiotic-free production, both of which can be very much improved with the right feeding. Animal welfare is not just about how an animal is treated. It is also about ensuring proper housing, handling, care and, first and foremost, health and nutrition. Antibiotic-free animal production is a key factor related to animal welfare. It leads to healthy animals, safer food and improved profitability. Dr. Eckel has delivered solutions for the challenges of modern livestock production for 25 years now. The German company was among the first to offer reliable alternatives to antibiotic growth promoters. Consequently, today it is one of the first companies ever to produce feed additives that have been specifically developed to improve animal welfare sustainably and promote the implementation of various animal welfare measures. 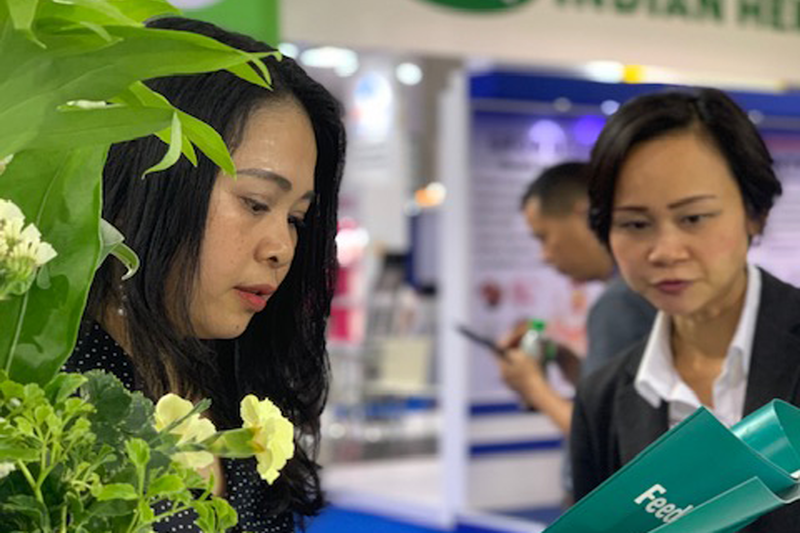 Phytogenic and plant-based products were also a major topic of discussion with customers at the fair. 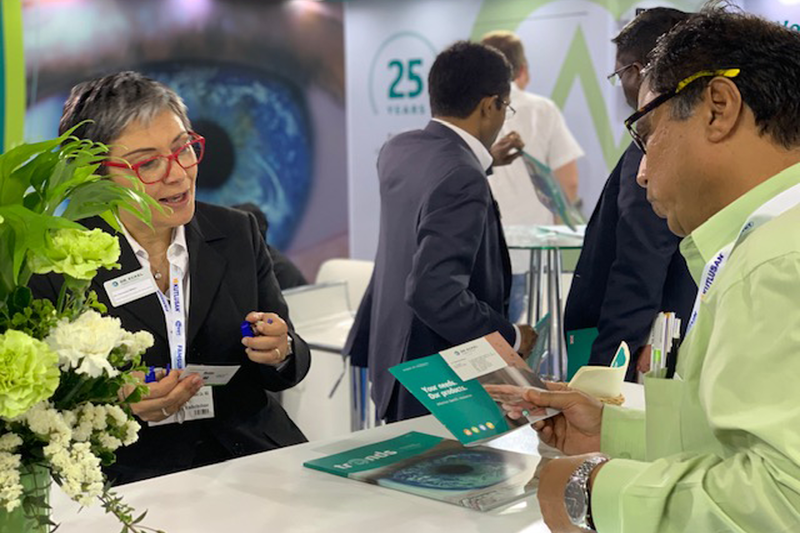 Indeed, the recently launched Anta®Ox and Anta®Phyt product videos got an enthusiastic response at Dr. Eckel’s booth. 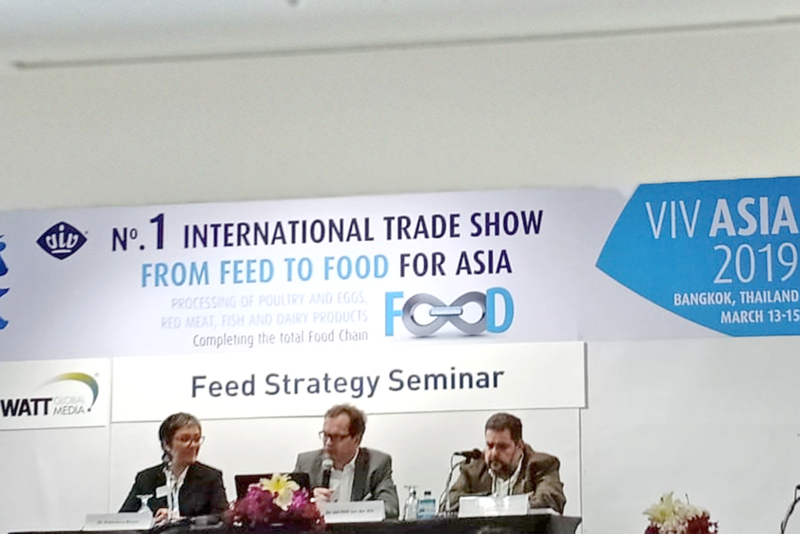 On 14 March, Dr Francesca Blasco, Vice President Product & Innovation at Dr. Eckel, was invited to participate as one of three feed additive experts in a panel discussion held by FeedStrategy. The discussion focused on phytogenic feed additives and their use to replace AGPs. The lively one-hour discussion touched on many important topics. One was the role of consumers who make healthier food choices and call for the feed industry to reduce antibiotics in feed. Another was the currently available phytogenic feed additives and their use, limitations and associated challenges, the quality of the raw materials used and the consistency of their results. Phytogenic feed additives clearly represent an attractive alternative to AGPs. However, there is no ‘silver bullet’. We recommend a holistic approach, which considers the entire production chain, including farm and feed hygiene, as well as animal welfare. 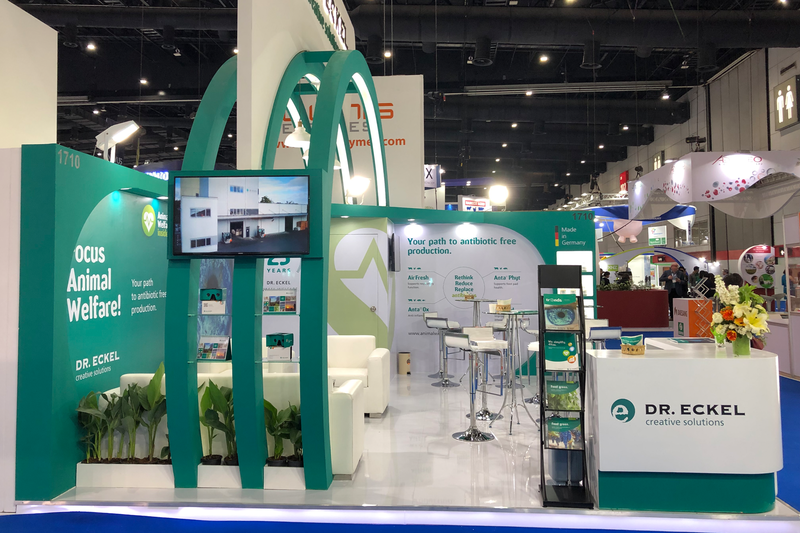 The whole Dr. Eckel team would like to thank all the visitors and partners for the exciting, valuable encounters, thrilling discoveries and successful talks. Together, we will continue building a brighter future for humans, animals and the environment.